I showed the boys how it worked by using a stuffed animal and they were so, SO intrigued. This little playtime reminded me how much I loved this swing when we were using it constantlyâ€”it’s just soothing. The sound effects, the whirrrr of the machine and the softness of the fabric. It reminded me of those quiet mornings when they were babies. 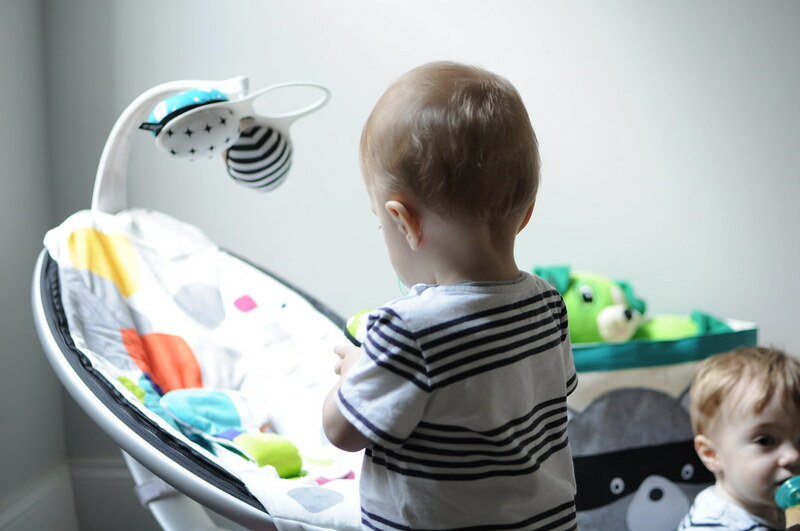 It also reminds me of lugging it and a second swingÂ all over the houseÂ (don’t worry, the mamaRoo is super light) so that I could take a shower or fold laundry.Â It really made those first few months “doable”Â in a lot of ways. It was just a matter of minutes before Nixon wanted to climb in and try it outâ€”and so we did! He’s still well within the weight requirementsÂ (it maxes out at 25 lbs) so it swung him with ease. I put it on “car” mode (#4! ), which mimics the movement of traveling car and I had to laugh because he instantly relaxed. Both of my kids have what I like to call “car-colepsy” which essentially ensures full, deep sleep within the first 3 minutes of the car moving. Also the paciâ€”oh boy. 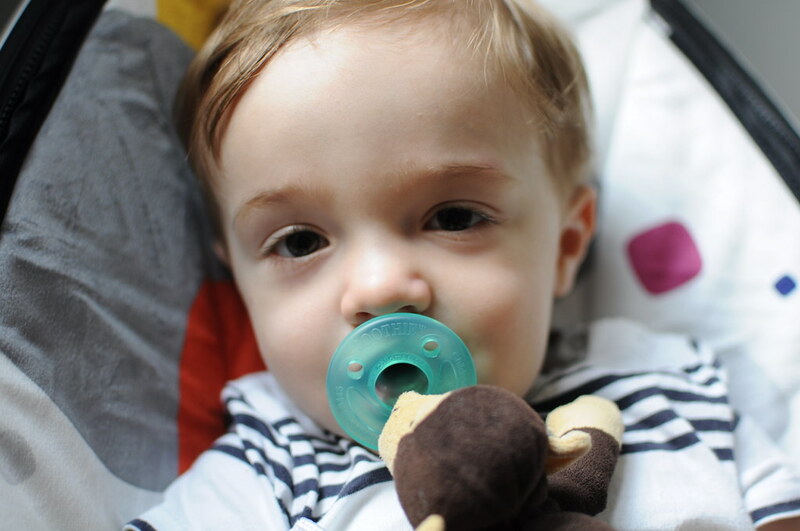 My kids the first entire 14 months of life were not at all interested in pacifiers, but teething has turned them into full-blown paci fanatics. I need to muster up the courage to start to wean them off and am not looking forward to it! I love this sweet, sensitive soul so much. My goodness this child (and his brother!) have my heart. 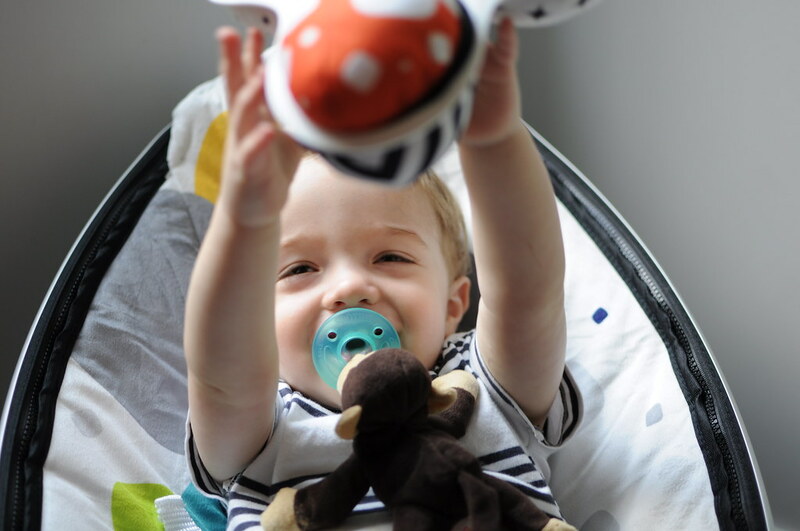 Look how chill Nixon is in the mamaRoo baby swing… loving it! 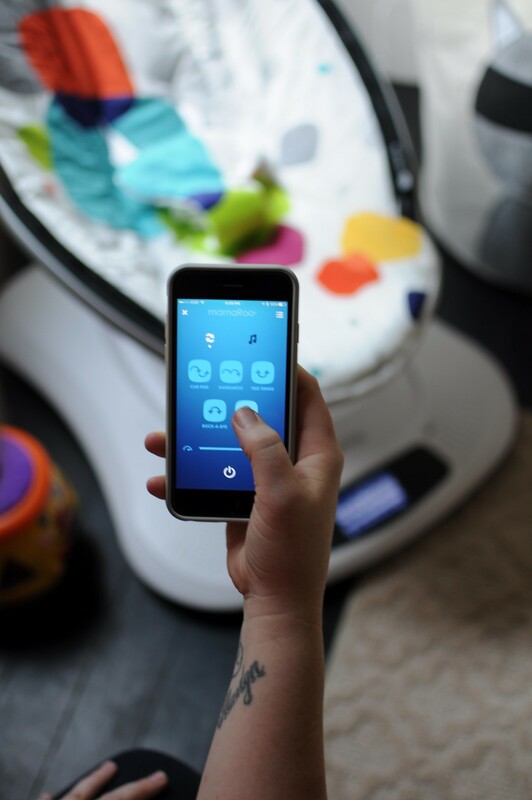 The newest model of the MamaRoo is much fancier than what I was used to, with its digital interface and smartphone app. We all had fun pressing the buttons, playing music and watching the seat swing side to side. 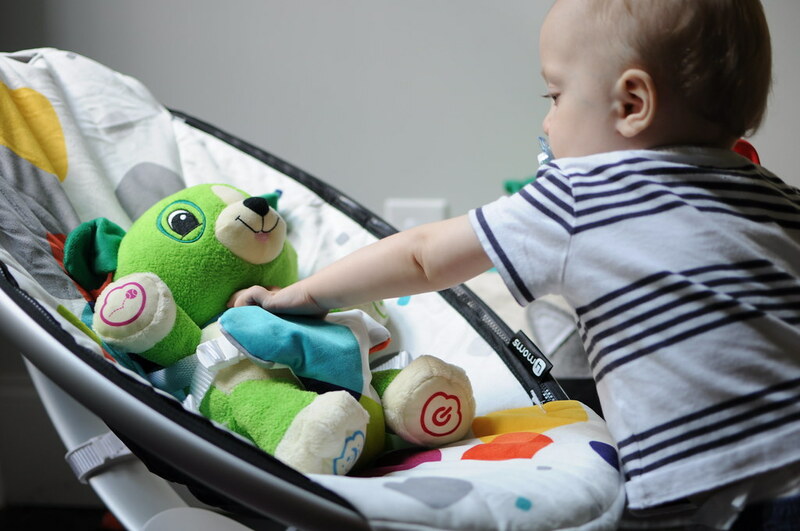 The secret of the mamaRoo baby swing is that its range of movements are designed to mimic familiar onesâ€”in my arms, in my car, etc. Here’s a fun little video we did to show you just that. 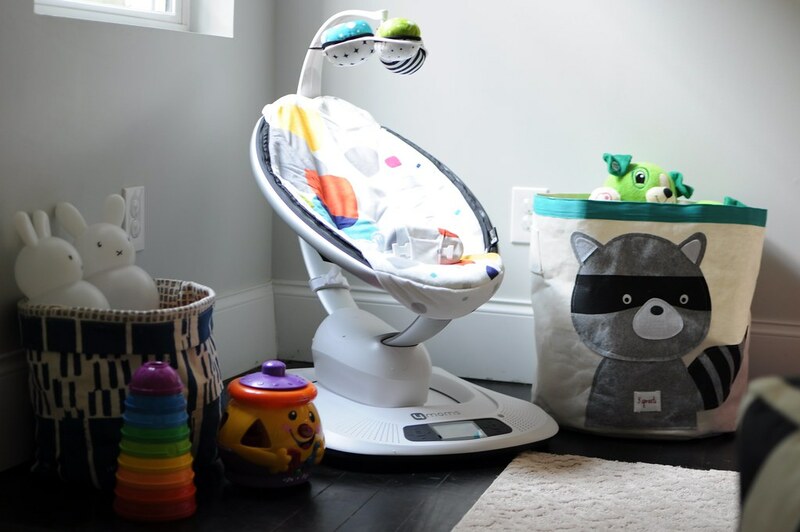 Playtime with 4Moms mamaRoo (Sponsored) from Go Haus Go on Vimeo. 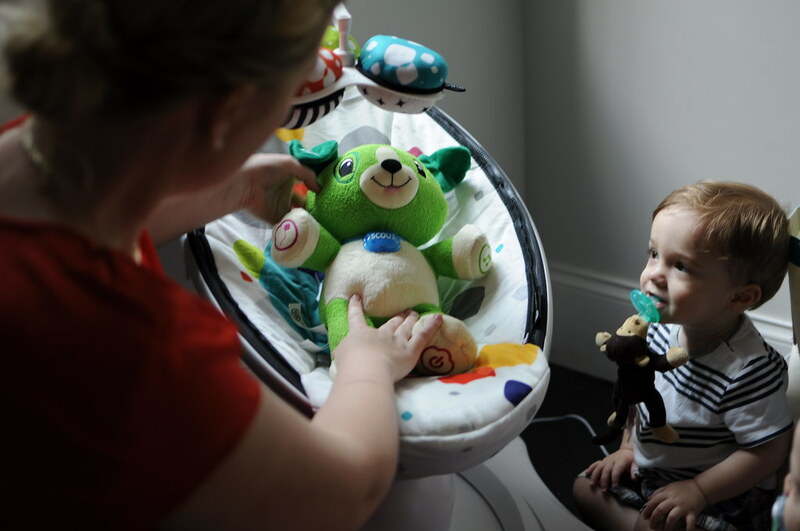 Check out the mamaRoo page for more information on the unique ways it moves. 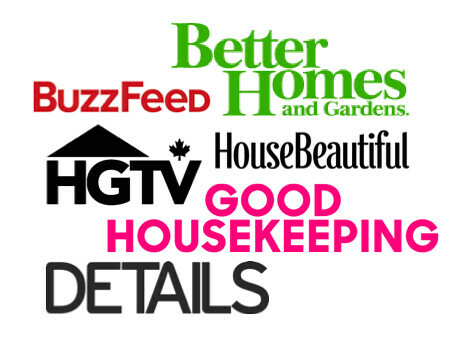 You can also sign up for the 4moms email subscription to receive product updates and information. Who else is in love with this swing? It’s expensive, so I’d recommend borrowing a friend’s to see if your baby is up for this type of swinging. If he/she loves it,Â then go for it, but definitely take it for a test drive first! 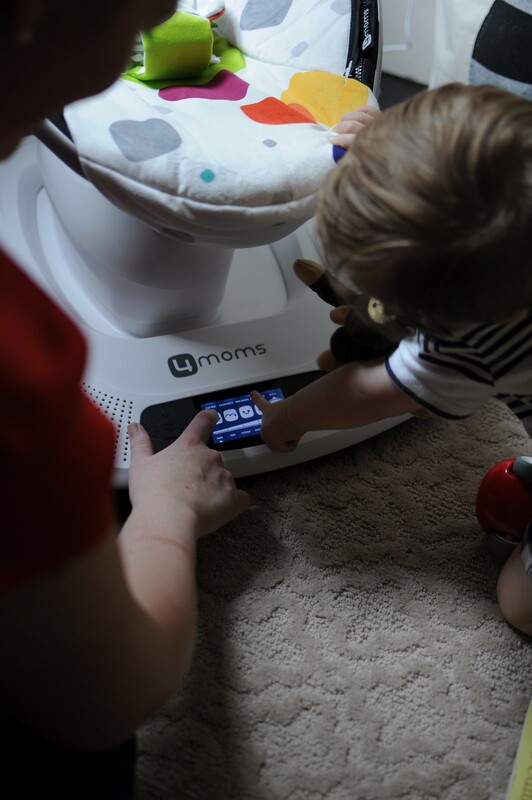 Thanks 4Moms and mamaRoo for fun playtime and a great mail day!